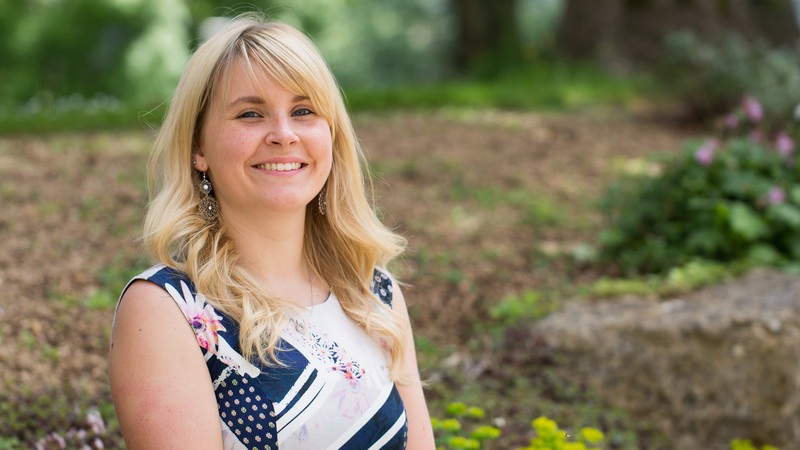 Katy Brown graduated in 2017 with an MA in Interpreting and Translating. She gives us an insight into her life as an Interpreting student at Bath. Katy Brown is an MA Interpreting & Translating student. Why did you apply to study MA Interpreting and Translating? 'I applied to the MA Interpreting and Translating (MAIT) because I really loved my translation modules at undergraduate level. Prior to my final year, I had always said that I didn’t want to study a Master’s, but we started translation classes and they made me want to pursue it further. How would describe your experience on the course? 'I had a wonderful time! It was certainly one of the most challenging years I’ve had in education, but the whole experience was really positive. Interpreting certainly pushed my multi-tasking skills to the limit, but I can see the improvements I made and feel I’ve learnt a lot about myself in the process. Interpreting requires you to work closely with people in your group and getting to know my course mates has been a highlight. 'Furthermore, translation was just as great as it was during my undergraduate programme. It was a lot of fun and the variety of texts made it really interesting - from a scientific piece on toxic algae to a humorous article with lots of bread puns! Additionally, I really enjoyed the public speaking module in the first semester. It was extremely helpful in improving our presentation skills not only for interpreting, but for other situations in life. Writing speeches each week became one of my favourite activities! What does a typical day look like for a MAIT student? 'The number of lectures varies each day, but I generally spent most working hours on campus. I attended lectures and practised interpreting with friends in the labs. We practised as often as possible. What are your career plans for the future? What advice would you give to language students interested in studying Interpreting and Translating?